To be eligible for admission to Cal Poly's Orfalea College of Business graduate programs, students must possess an undergraduate degree from an accredited university, and a competitive undergraduate GPA and GMAT scores. For accepted applicants, the mid-80 percent GPA range was 2.8 to 3.75; for GMAT scores, the mid-80 percent range was 580 to 750. T...To be eligible for admission to Cal Poly's Orfalea College of Business graduate programs, students must possess an undergraduate degree from an accredited university, and a competitive undergraduate GPA and GMAT scores. For accepted applicants, the mid-80 percent GPA range was 2.8 to 3.75; for GMAT scores, the mid-80 percent range was 580 to 750. To be eligible for dual degree programs, students must meet the eligibility requirements for both programs. Life is good at Cal Poly. Located on a hilltop overlooking San Luis Obispo, “the college campus is gorgeous” and the surrounding town is beautiful, friendly, and student-orient­ed. No wonder many students say “the location” is among the Cal Poly’s greatest assets. Graduate students have access to the school’s excellent recreation center, health center, and library, and they may even choose to live on campus. Within the business school, the Graduate Students in Business Association (GSBA) organizes social gatherings for stu­dents and faculty, as well as fundraisers and professional development events. Cal Poly offers just a few graduate programs; therefore “the undergrads overwhelming­ly outnumber the graduate students” on campus. Fortunately, “the Graduate School of Business students have their own Room/Lounge with a fridge, microwave, tables, com­puters, and whiteboards”—a nice enclave for the more mature crowd. At Cal Poly, most MBA candidates are “young, career-driven” professionals, principally from technical or engineering backgrounds. As an international student from the Republic of Moldovia, I feel immersed in an environment where my opinions and perceptions are challenged every day. Thrown together into a picture-perfect petri dish of competition and collaboration, students contribute, adapt and grow, eventually evolving into a network of life-long relationships. At Cal Poly, Career Services hosts career fairs and networking events for the entire school community. They also offer career preparation assistance, including resume revisions and interview skills workshops. While graduate students are free to participate in these offerings, “the career services are more geared towards undergrads” at Cal Poly. Fortunately, the school boasts an excellent reputation and strong ties to the local commu­nity. Even without extensive assistance, around 85 percent of Cal Poly students have accepted a job offer by graduation; three months out, 100 percent of MBA alumni are employed.Top employers of Cal Poly MBA graduates include Northrup Grumman, Raytheon, Rantec, General Dynamics, Sun MicroSystems, Deloitte Consulting, Qualcomm, IBM, Agilent Technology, Amgen Inc., Lawrence Livermore Labs, Pacific Gas & Electric, USDA, Dept of Veterans Affairs, KPMG, Pratt & Whitney, Morgan Stanley, Boston Scientific, PriceWaterhouseCoopers, Sandia National Lab, Lam Research, Columbia Sportswear, Adelaida Cellars. The mean base salary for MBA graduates is $100,000. 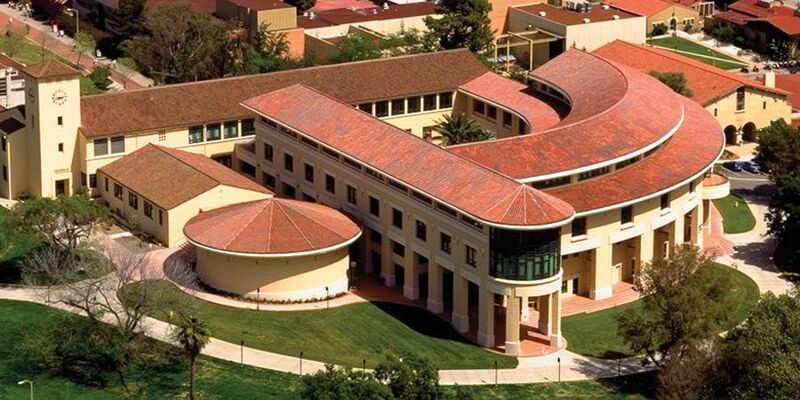 The Orfalea College of Business at California Polytechnic State University, San Luis Obispo (Cal Poly) offers one-year MBA programs that follow the educational philosophy of "learn by doing". The programs' in-class experience includes simulations of management decision-making scenarios, case studies, team exercises, extensive interaction with faculty and other students, and personal communication and presentation skills enhancement. The Orfalea College of Business' (OCOB) MBA programs are accredited by the AACSB and admit a limited number of students each year. This select group of graduate students fosters an eclectic student body with a strong sense of community and a culture that emphasizes high quality performance. Students accepted into and enrolled in Cal Poly's OCOB MBA programs may: - Enter the program without an undergraduate business degree and without completing prerequisite business course requirements. - Choose an accelerated option (Track One) that allows full-time students to follow a prescribed course of study and complete the program in less than a year or a traditional, non-accelerated option. (Track Two.) - Study relevant, current, challenging, and intellectually stimulating courses. - Enroll in short intensive summer sessions to complete the MBA program and/or follow the accelerated option requirements. - Enroll in a 2-1/2 week international business study tour to mainland China or India• Work with renowned faculty in a friendly and professional academic atmosphere. - Live and study on California's beautiful Central Coast In addition to a general management MBA, Cal Poly offers an MBA with a Specialization in Agribusiness, and an MBA with a specialization in Graphic Communication Document Systems Management, an MS in Accounting - Taxation. Two-year dual-degree options are also available for students wishing to pursue two graduate degrees simultaneously. For example, a formal joint MBA/MS program in Engineering Management (EMP) and various other informal MBA/MS or MBA/MA dual-degree options are available. Cisco Networking Lab, HP Projects Lab, Graphic Communication Institute, Small Business Institute, Industrial Technology Digital Research Center, Textile Research and Testing Laboratory. Engineering related: Applied Research & Development Facilities,Cal Poly National Pool Industry Research Center, Center for Sustainability in Engineering, Electric Power Institute, Cal Poly Center for Global Automatic Identification Technologies (proposed). Want more info about California State Polytechnic University - San Luis Obispo Orfalea College of Business Full Time MBA? Get free advice from education experts and Noodle community members.